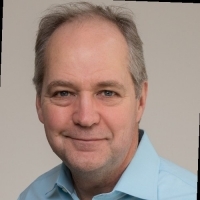 Jim Carey brings over 30 years of experience in IT infrastructure, application, network, and service management to his role as Product Management Lead for IBM. Jim’s professional focus and passion are to do everything possible to help make operations teams more efficient, effective, and consistent. Mobile computing, analytics and big data, and ubiquitous instrumentation are transforming the way IT and Application teams work, and he is excited to be in the middle of [another] revolution.